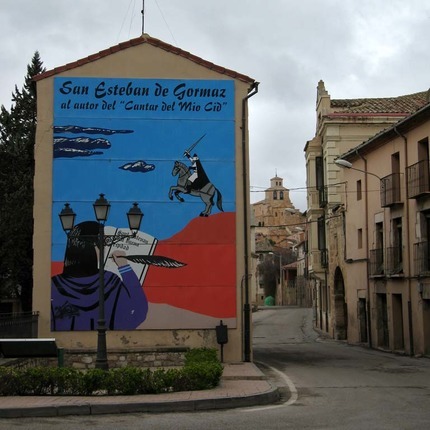 According to the Song of el Cid, on the eighth day of the exile the Cid passed through San Esteban without entering the city. Six years later, by then the Cid had conquered Valencia, his daughters entered more dead than alive, after being mocked and abandoned by their husbands, the infants of Carrión, in the oak grove of Corpes. They stayed for several days in San Esteban, recovering from its bounds and injuries thanks to the care of their people. In the following days a host of 200 men led by Álvar Fañez, Pedro Bermúdez and Martín Antolínez, came from Valencia to pick up the daughters of the Cid and take them with his father.